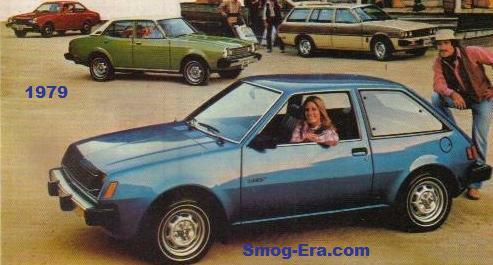 For 1979, the Colt became front wheel drive, if you wanted a hatchback, that is. 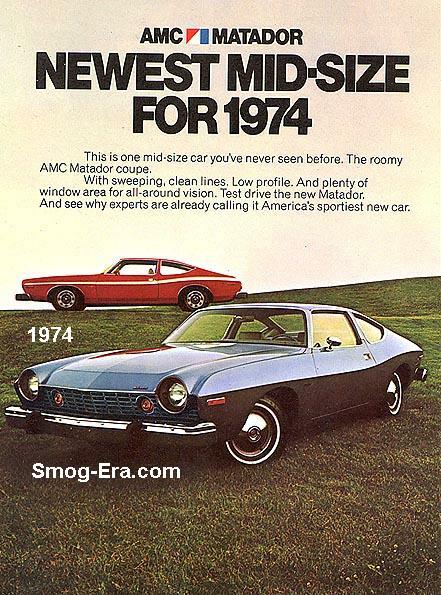 The rear wheel drive wagon, coupe, and sedans were still around. The Hatch was imported via Mitusbishi also. 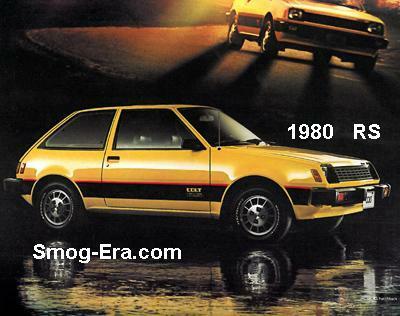 Below is a nice factory ad showing the many examples of the Colt nameplate behind the new Colt Hatchback. This front wheel driver was only available as a 3-door at first. Initial trims were base and Custom. 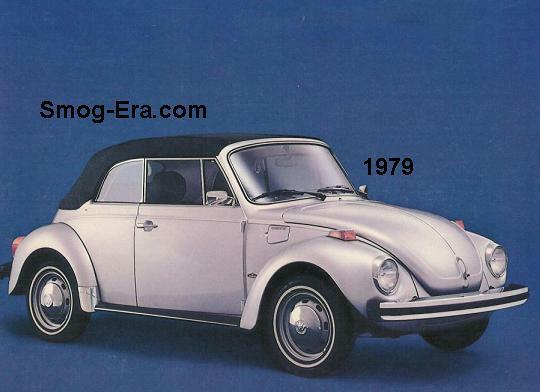 Powering this variant was a 1.4L SOHC I4 (70hp), with the 1.6L SOHC I4 (80hp) reappearing optionally at the end of the year. 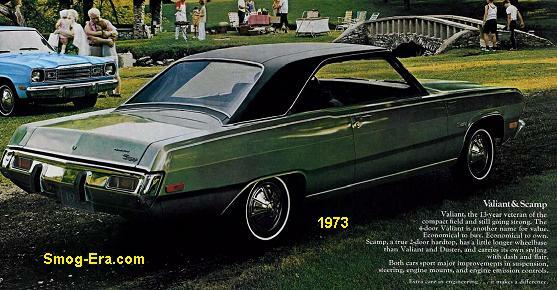 Four transmissions were offered which were 4-speed manual, 5-speed manual, 3-speed automatic, and the ‘Twin-Stick’ manual, which had a secondary gearbox controlled with a separate lever. The quasi-performance Colt RS was added in 1980, which is a rare find today. 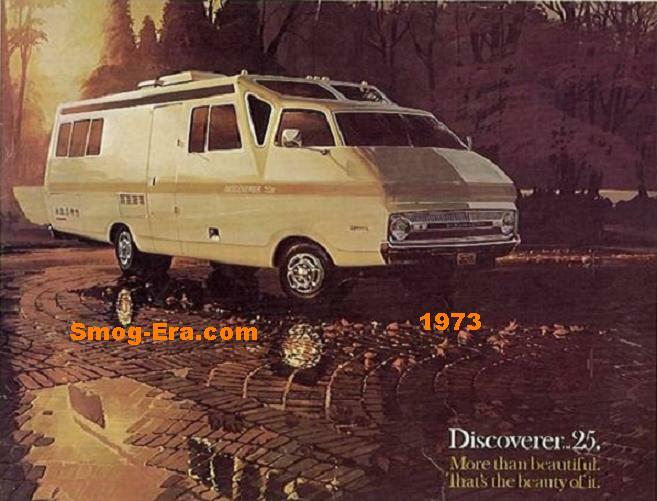 The Colt Wagon was discontinued after 1981. As if to fill the slot, a 5-door variant of the hatchback arrived for 1982. Also new were trim levels of ‘E’ and ‘DL’. 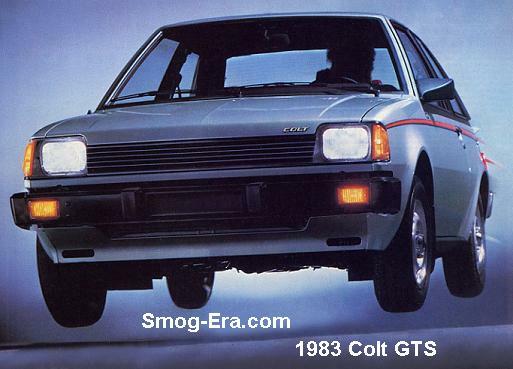 The Colt GTS version was sold starting in late 1983. 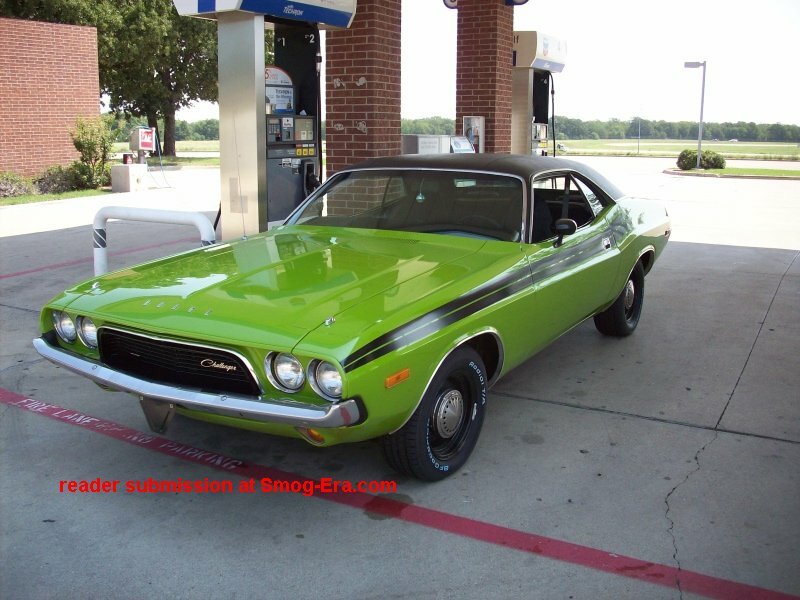 This package added striping, wider tires, spoiler, side window louvers. 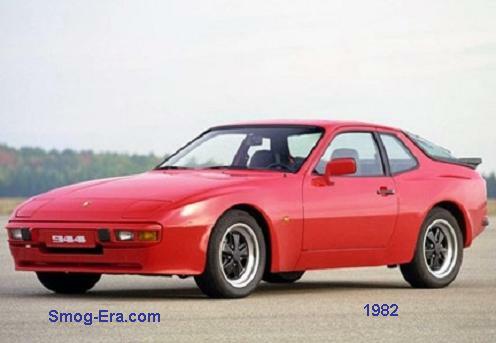 A more potent turbo version would arrive the next year, but since we don’t cover past ’83, we can’t talk about it. The Colt Hatchback carried the ‘Colt’ name many more years down the line, even as the sedan and wagon versions dropped off from the sales floor. But this generation lasted one more year.